the world is laughing ..
again when other nations d not trust trump they do not share important intellegence that keeps america safe. Similar to when Bush was in office at the popes funeral and his picture was shown and all over the people at a funeral began booing on the streets of the world. again what a disgrace and Trump is no different. are we safer when respected or hated around the world? Putin has long dreamed of the day in which the Western trans-Atlantic alliance splintered. Trump is helping deliver that vision. Since Donald Trump became president, after a campaign in which he repeatedly mocked and denounced German Chancellor Angela Merkel for accepting Muslim refugees from war-torn Syria, relations between the U.S. and its longtime ally have taken a chilly turn. Economists warn that Trump‘s plans to impose tariffs on goods from the European Union and his threat to impose tariffs on German automobiles may touch off a trade war. But State Department spokeswoman Heather Nauert reassured reporters that the two countries have “a very strong relationship.” She noted that Tuesday was the 71st anniversary of the speech by Secretary of State George Marshall introducing the Marshall Plan for the reconstruction of Western Europe. But she also mentioned that Wednesday marked the anniversary of D-Day, the invasion of German-occupied France during World War II — not exactly a high point in German-American relations. Her remarks were meant to address the controversy over U.S. Ambassador Richard Grenell, who caused a stir this week with an interview to Breitbart.com in which he vowed to try to “empower” populist conservatives in Europe, many of whom loathe Merkel. “Ambassadors have a right to express their opinion,” she said. Hey, thanks buddy. Comments like the one above, and most of your other half retarded comments are what makes Americans a laughing stock. You are the stereotypical "stupid American" that us outsiders are referring to. Oh ya, I'm Canadian you moron. My parents were German. "You can take the boy out of Bombay; you can't take Bombay out of the boy, you know." You can move a stupid American to Mexico, but he’ll still be a stupid American. The crowdfunding campaign reached its goals in hours, with the promise of creating and flying the “Trump Baby” blimp over London in order to “make sure he knows that all of Britain is looking down on him and laughing at him. 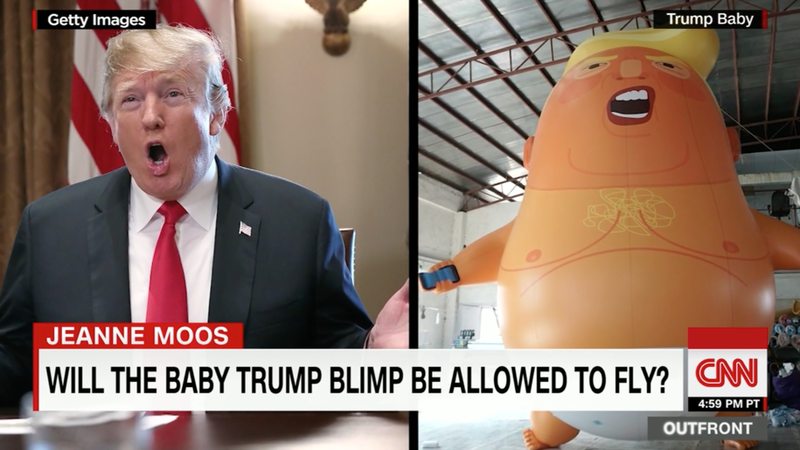 ” Since that time they have added more goals, including a thick 6-foot tall “Trump Baby” that can be played with by protestors in the streets. The newest goal for this team of protestors is to bring the Trump Baby blimp on a world tour. they do not want trump getting prostitutes to have them Pee on the bed in the palace so no invitation for him to come. He is such an embarrassment around the world. As I said the world will not forgive the USA for this moron, they will make sure they have stable and alternative partners from the future for goods. It takes time to get south america ramped up to produce more of the world's food but they believe it or not are more than willing to do it for the world.